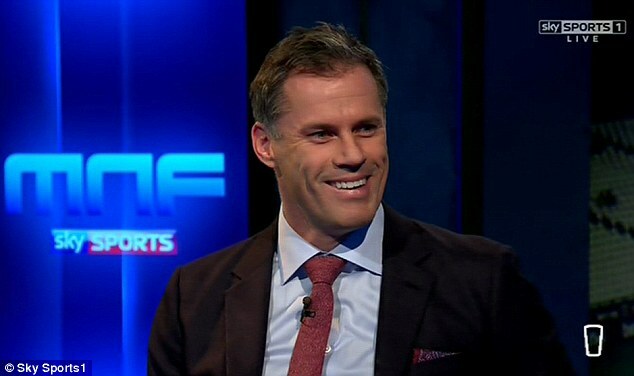 World-record signing Paul Pogba is not a ‘game changer’ and is a defensive liability for Manchester United, according to Frank Lampard and Jamie Carragher. 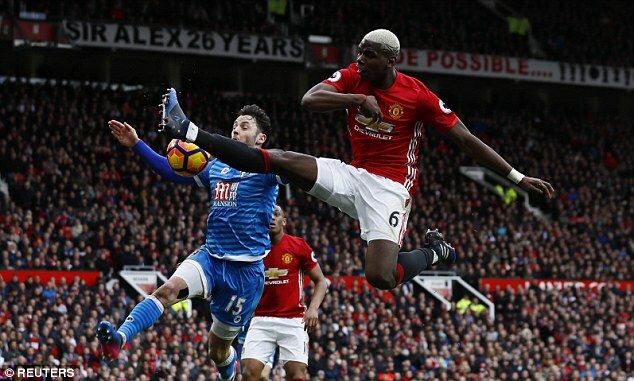 Pogba missed a good chance during Manchester United’s 1-1 draw at home to Bournemouth last time out and struggled to take control of the midfield battle. And Lampard criticised his impact since signing from Juventus in the summer, arguing that he hasn’t delivered despite his huge price tag. ‘He’s not a game changer. 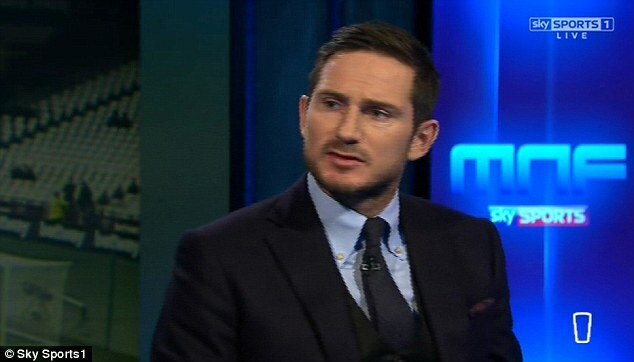 It was a signal of their intentions to spend £90m on someone I would say isn’t a finished article,’ Lampard said as a pundit on Sky Sports’ Monday Night Football ahead of the match between his two former sides West Ham vs Chelsea. 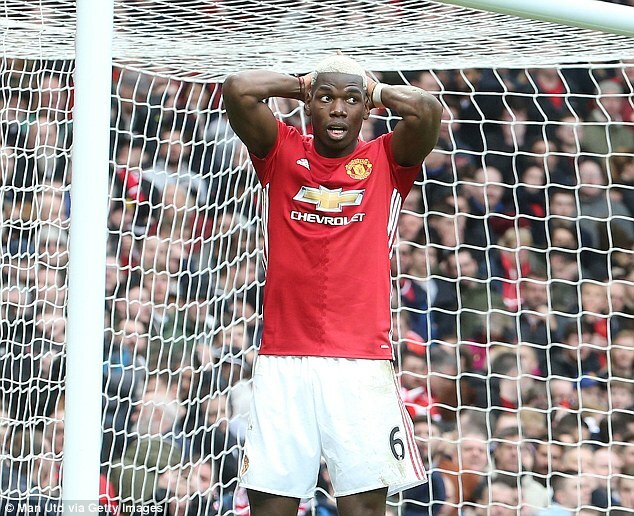 ‘When you have a £90million price tag you wonder more… and you’re left still thinking what player he is… he hasn’t quite delivered and he hasn’t been a game changer. 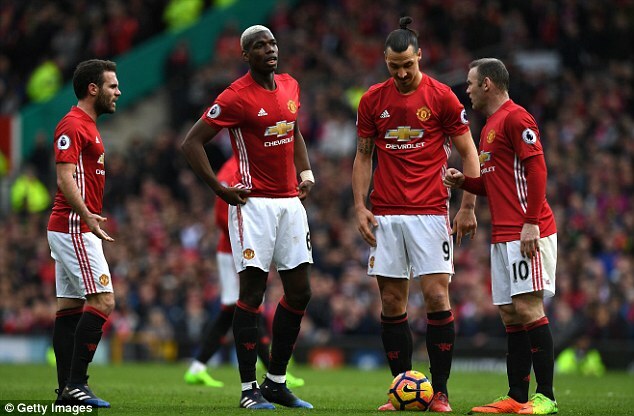 However he also praised Pogba for his passing abilities and the understanding he has built with United’s talisman Zlatan Ibrahimovic – despite being defensively suspect. Jose Mourinho initially struggled to find the right formula in central midfield during his first season at Old Trafford. The United boss appeared to have settled on playing Michael Carrick and Ander Herrera alongside Pogba as a trio but Lampard thinks Pogba isn’t committed enough defensively to play that position. 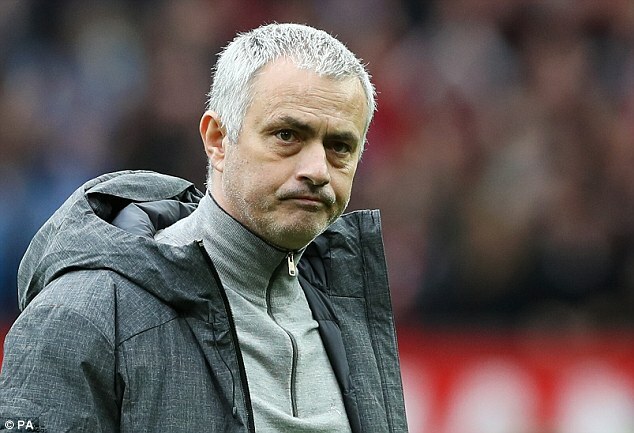 ‘When Jose Mourinho is playing a two [central midfielders] he wants them to defend but he’s not busting a gut to get back… he realises far too late,’ added Lampard. ‘My question is how much do you want him in these deep roles? For me Michael Carrick is in the team to play deep… if he’s not close enough he’s not going to get the numbers. you’ve got this player you want to get into your team but what’s the best place for him?